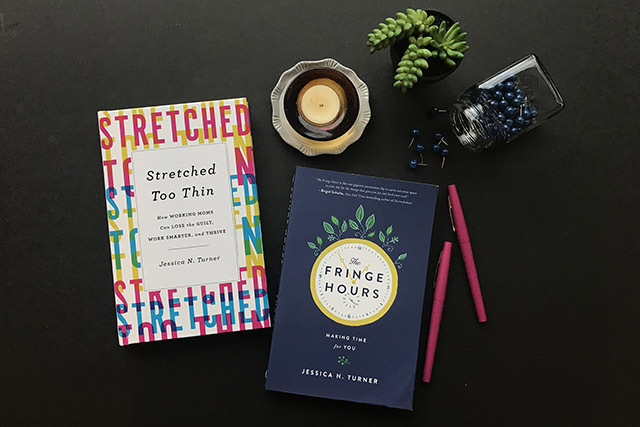 DaySpring is currently offering a FREE copy of The Fringe Hours when you purchase Stretched Too Thin! And there’s a bonus coupon code to bring the price down even more. After the BOGO deal, coupon code, and shipping, you’ll pay just $16.94 for BOTH books — which is just $8.47 per book, shipped! You do NOT need to add The Fringe Hours to your cart. DaySpring will automatically send you that book for free with your order. Use coupon code TURNER10 to take $10 off your total. You’ll pay $16.94 shipped for both books, which beats Amazon’s current price by quite a bit! If you feel overwhelmed with life and can’t seem to find time to recharge your batteries, I wholeheartedly encourage you to take advantage of this deal! Jessica’s books have really encouraged me to use my time wisely and find time in my full schedule for rest and recovery.